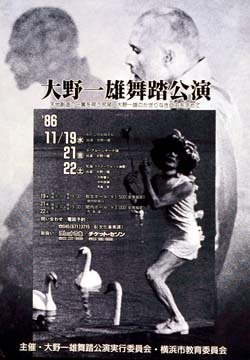 This was the first recital in Yokohama organized by Yokohama City Board of Education. The peformances are held at the Yokohama Education and Culture Center and at the Kannai Hall for its official opening, along with the exhibition and the lectures. The photo used in this poster was taken during the production of Swiss Romande TV program at Lake Geneva. 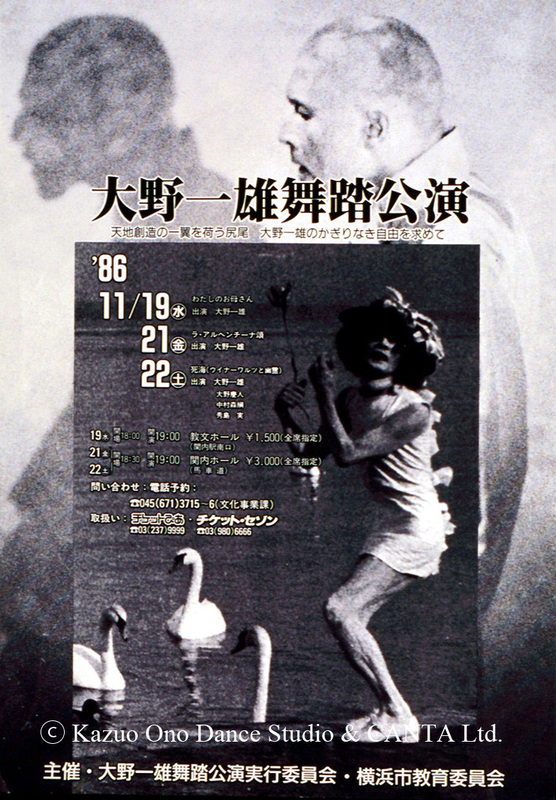 The photo of Yoshito Ohno in the background was taken at the premier of "The Dead Sea" in 1985.